If you have prediabetes, you also have the power to improve your health. PREVENTING Type 2 diabetes involves simple-sounding instructions: Lose weight, make healthy eating choices and engage in regular physical activity. But following those instructions can be difficult and complicated – and not always enough, since some risks for Type 2 diabetes are out of your control. You're more likely to have diabetes if it's in your family history, for example, and people of certain races and ethnicities are more likely to develop it. Still, it's important to do what you can to avoid becoming one of the estimated 15% to 30% of people with prediabetes who goes on to develop Type 2 diabetes within five years – a risk that increases over time, according to the Centers for Disease Control and Prevention. "The earlier you catch this, the easier it is to turn back the clock," says Dr. Ronald Tamler, a professor of medicine, endocrinology, diabetes and bone disease at the Icahn School of Medicine at Mount Sinai in New York. If you have prediabetes, here are a few steps you can take to cut your risk of developing Type 2 diabetes. There are some convincing numbers that support weight loss for diabetes prevention. 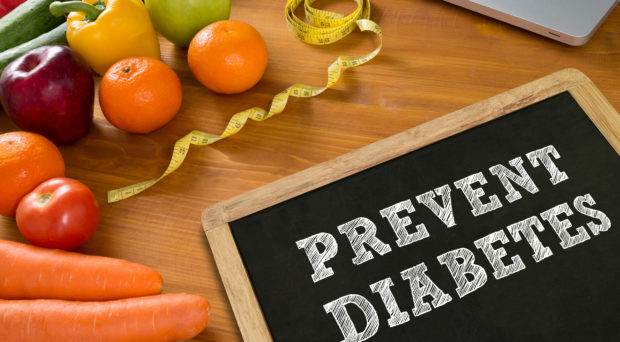 A large 2002 study from the U.S. government called the Diabetes Prevention Program focused on preventing the development of Type 2 diabetes in more than 3,000 people who had prediabetes. All of the participants were overweight and all had high blood sugar. The participants who lost weight through physical activity, healthy eating, individual counseling and group classes were 58% less likely to have diabetes about three years later than participants who didn't go through the program or take metformin, a common diabetes drug. The participants who took metformin still didn't reduce their diabetes risk as much as those in the lifestyle changes group. Check with your doctor before you embark on a weight-loss program. Although many people with prediabetes or Type 2 diabetes are overweight, not everyone is. "A small amount of weight loss can go a surprisingly long way in helping glucose levels and overall good health," says Dr. Joseph J. Schwartz, an endocrinologist in Englewood, New Jersey. A large part of weight loss is eating healthier most of the time. For people concerned about diabetes, that may mean monitoring your sugar and carbohydrate intake, since often, carbohydrate-rich foods like white bread, potatoes and pasta can raise your blood sugar just as much as sugar. But it's not always that straightfoward. For instance, "eating sugar and other carbohydrates can elevate the blood sugars of someone with diabetes, but consuming sugar does not cause diabetes," Schwartz says. If you're not sure where to start, consider the Mediterranean diet , which U.S. News experts ranked the best diet for diabetes management and prevention, thanks to its flexibility and focus on fresh fruits and vegetables, seafood and whole grains. Research also supports this eating style as a way to ward off diabetes. A 2014 study in the journal Public Health Nutrition including 122,000 adults, for instance, found that adhering more closely to a Mediterranean diet is associated with a 19% reduction in the risk of Type 2 diabetes. Another study in the journal Gut also suggests the Mediterranean diet can help prevent diabetes, since the short-chain fatty acids that the diet seems to promote are linked to a decreased risk of the disease. The DASH diet, Flexitarian Diet, Mayo Clinic Diet and Volumetrics diet are also top choices for folks with diabetes or prediabetes. But don't feel you have to embark on healthier eating on your own. Doctors often recommend meeting with a dietitian to figure out what works best for you. "It's hard if your family members are eating high-calorie, high-sugar foods," says Dr. Marilyn Tan, an endocrinologist with Stanford Health Care in Stanford, California, where she's also chief of the endocrine clinic. "Get the whole family involved and on board, or have your friends involved to help choose healthier options when you go out to eat." Physical activity may be hard to fit in your daily routine, but you'll enjoy plenty of health benefits if you do. One of those benefits is lowering your risk for Type 2 diabetes. In fact, a follow-up study to the 2002 Diabetes Prevention Program research found that diabetes incidence was lower 12 years later for participants who were more physically active, regardless of changes in weight, according to the American Diabetes Association. Specifically, recommendations suggest all Americans exercise 150 minutes a week or 30 minutes, five times a day. But that doesn't mean you need to join a gym or hop on the treadmill. "You can go to a gym, but it's really about staying active throughout the day," Tan says. Find ways to fit extra activity into your routine. This could include an extra walk around the block at lunch, taking the stairs to other floors or walking while you watch TV. All of those extra steps count. Your physical activity should combine cardio exercises like walking, biking, swimming or aerobics, all of which burn calories effectively. However, your routine also should include strength training, which helps build muscle and stabilize your insulin throughout the day. Even if you don't lose weight by exercising, you'll reap important health benefits including decreased blood pressure, stress reduction and an improved mood, Tan says. "I tell people that it's not diet, exercise or weight loss alone that prevents diabetes," she says. "You need all three." Better eating, exercise and weight loss can be challenging to manage on your own. One additional step that endocrinologists and diabetes educators recommend is taking part in a diabetes education program designed by the CDC. The programs will tell you what you need to do to help avoid Type 2 diabetes, and they'll motivate you to stay the course of living healthier.